From February 27, 2019, the Centre Pompidou Metz will present a retrospective of Lee Ufan, tracing his career from the early works of the late 1960s to his most recent creations. The exhibition offers a defining vision of Ufan's unique oeuvre, showing how his artistic vocabulary has evolved over more than five decades. Lee Ufan, 'Relatum (Iron Field)', 1969/1994/2018. 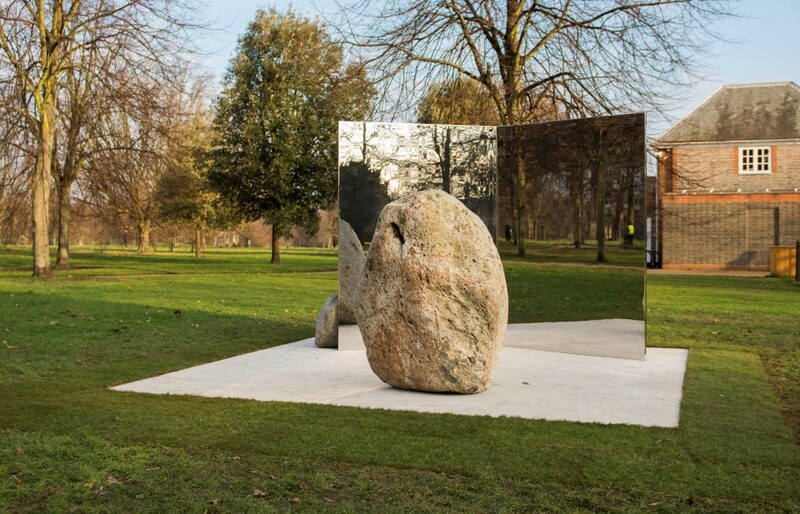 The Serpentine continues its exploration of public art with a sculptural commission by artist Lee Ufan, installed outside the Serpentine Gallery in Kensington Gardens until 29 July 2018. On the occasion of the 2017 Biennale, Lee Ufan (1936, South Korea), one of the most influential Korean contemporary artists on the international scene, has been invited to create a dialogue with the convent architecture. In his sculptural work, Lee Ufan, brings together antagonistic elements. He confronts natural materials (wood, stone, cotton) with industrial materials (metal, glass, mirrors) and plays with notions of emptiness, space and energy. Through (the balance of) their contrasts, the elements reveal their shape, their mass and their relationship with the surrounding space. Lee Ufan has exhibited at the Guggenheim Museum in New York, Tate Modern in London, the Kunstmuseum, Bonn and the Yokohama Art Museum. He also took over the Château de Versailles in spring 2014. Lee Ufan was one of the founders and the principal theorist of the art movement known as Mono-Ha, which emerged in Japan in 1968. As was the case in other movements which were active in Europe and the United States at the same time, Mono-Ha participated in a profound questioning of the very foundations of art, even its very definition. At the ccc od lee ufan will be showing an exhibition that has been profoundly inspired by the darkness emanating from the exhibition space, the Black Gallery, which has been specially chosen for this project. Here six unseen installations can be discovered walking through six rooms, expressed using the quintessential elements of his artistic lexicon, with sculptures marrying stone found in the natural world and industrial metal, and paintings showing the trace of a single gesture. Moving from shadow into light, each installation is an invitation to encounter and meditate. Lee Ufan’s works display an extreme simplicity of form and are characterised by his minimal intervention in terms of space and materials, based on the principle that “seeing, choosing, borrowing or moving are all part of the creative act.” The artist’s research is based on the association of ‘doing and not doing’, what is created and what exists already. The void and the resonance between objects are conferred with as much importance as the objects themselves. 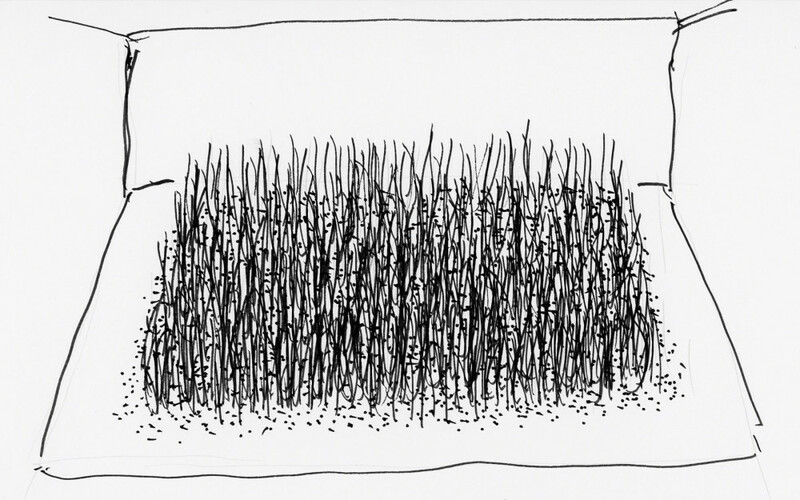 Thus Lee Ufan is developing an ‘art of encounter’ based on his artistic expression, building bridges between the visible and the invisible, between humans and the infinite space surrounding them. Using pared-down sculptural methods, the silent art of Lee Ufan elicits a physical and metaphysical experience of “being in the world”.